A New American spot has made its debut in the neighborhood. Called Stock and Ledger, the fresh addition is located at 70 W. Madison St. between Michigan Ave. and Garland Ct. in Chicago's Loop. Specializing in elevated American fare, Stock and Ledger is the latest project from executive chef Laura Piper and restaurateur Rodd Goldman of One North Kitchen and Bar. On the lunch menu, expect to see starters like smoked trout with apples, endive, pickled sunchokes, bagel chips and a horseradish crema; or a salt-roasted beet salad with French feta cheese, citrus, baby kale and pumpkin seed granola tossed with cumin vinaigrette. Switching over to the dinner menu, look for dishes such as chicken Kiev with herbed butter, lemon rice and charred Brussels sprouts; or seared Colorado lamb with falafel, parsley and red onion salad, sumac, tahini and lemon yogurt. Rounding things out is an extensive wine and beer list, along with signature cocktails like "The Bull" with Old Forester, Demerara syrup and aromatic bitters; and the "Deacon Blues" with Templeton rye, Fernet Branca and harvest syrup. You can check out the full dinner menu here and the drink menu here. With a 4.5-star rating out of fourteen reviews on Yelp so far, the fresh arrival is on its way to developing a local fan base. "Awesome new spot in the Loop. Great atmosphere and great service. Food is amazing and fresh. Try it out. 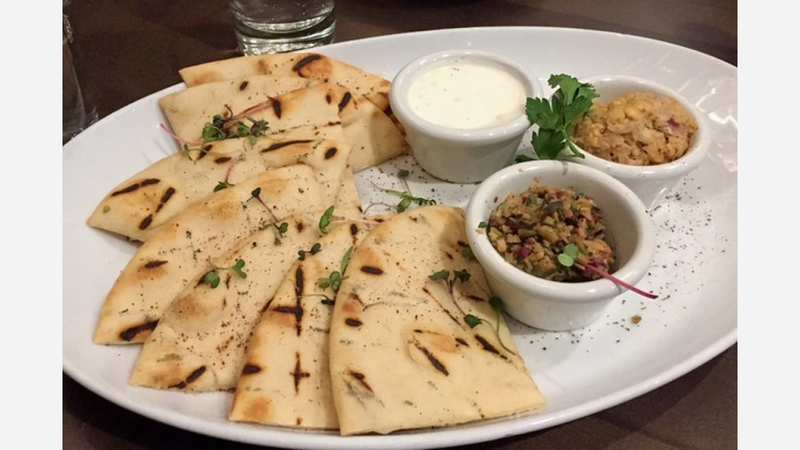 You won't be disappointed," said Michael G., who was among the first Yelpers to review the new spot on Dec. 8. Yelper Naywri W. added, "This is in one of the old Rosebud locations. This is American with Louisiana and Spanish influences...Everything--including the staff and service--was great." "Everyone is awesome! The owner personally greeted us at the bar. The decor is beautiful! They have an extensive whisky selection, and the pork chop was delicious," Satonya B. said. Swing on by to take a peek for yourself: Stock and Ledger is open weekdays from 11 a.m. - 10 p.m. and Saturday from 4 p.m. - 9 p.m. It's closed on Sunday.